We are amongst the foremost manufacturers, suppliers and exporters of precision engineering die casting & machined components. 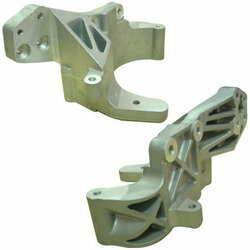 We also offer die casting & machined components from aluminium, ferrous & non ferrous material. Our company offers a wide range of brake shoe that is made of fine grade raw material like alloys of aluminium and stainless steel, low carbon steel and others. These components find applications in various industries especially in automobile industry. We also offer customized solutions for our entire range of pressure die casting components as per our clients' specifications. 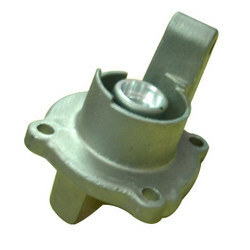 We manufacture this part mainly supply to various OEM's Like Honda, Tvs & Bajaj. We manufacture and supply our comprehensive range of starter housing that is used as automotive parts for various two wheeler and four wheeler vehicles. These products can also be custom manufactured as per our client’s requirements and are available at competitive rates. 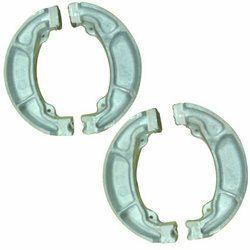 We manufacture this part mainly for Visteon. Our meticulous range of gear housing (half) is well appreciated in the industry circle for its various immaculate features including reliability and performance. 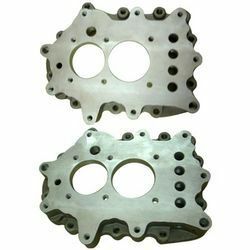 To ensure flawlessness, we use qualitative range of raw material sourced from prominent and trustworthy vendors and precise machining requirments for the customer as it is usen in the four wheeler engines. 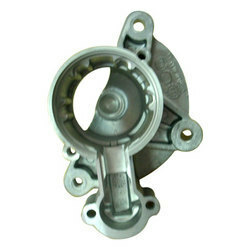 We manufacture this part mainly for Tata Motors. Our A/C Bracket with P/S are designed in various shapes depending upon the vehicle structure that include a mounting plate with one raised contact surface adjoining to at least one part of the slot which is achieved after precise machining on 5 Axis machines. These are manufactured for diverse industrial applications with single or multiple brackets and sensors. We offer flexible design accommodates with various combinations of frame and relays. 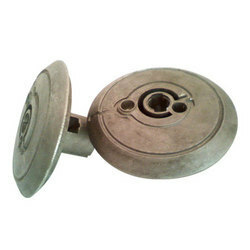 We manufacture this part mainly for General Motors. 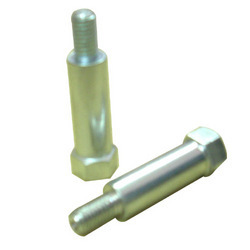 We offer a quality range of bolt adapters which are used for mounting back mirror in two wheeler & four wheelers, durable in performing for various impact and high surface finished to suit the vehicles asthetic look. We manufacture this part mainly for for Honda, Suzuki, Tvs & Piaggio. The stainless steel shells that we manufacture are highly used for storage and mixing purposes. We offer our products as per the specifications given to us by our clients. We are offering our clients an extensive range of piston pins, gudgeon pins and wrist pins. Our range pf piston pins is made out of special quality graded alloy steels and duly hardened to withstand wear and tear. 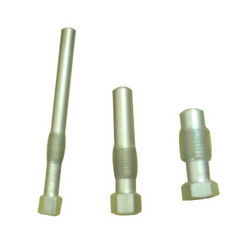 Outer surface of the pins are properly grounded and highly polished for smooth performance. 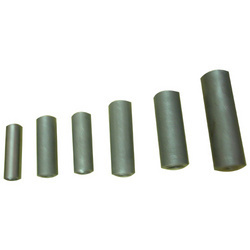 We manufacture 12 types of piston rods this part mainly supplied to Fedral Mogul & Goetz India Pvt. Ltd.- Supplies to different four wheelers & two wheeles OEM's. 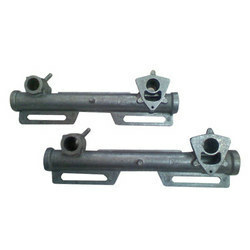 We manufacture meter bracket of die casting alluminium alloy with critical geomatrical shapes to achieve high precise machining youth for underground gas pipe line. we manufacture this part mainly for ASK Automotive Pvt.Ltd. Our fuel tank caps are available in various shapes depending on vehicle structure, that includes a cap use for mounting on fuel tank of various vehicle for its safety. We offer flexible design in accordance with various combinations of different type of fuel tanks for Honda. We offer our clients an extensive range of case gear shift guide that is known for precision make and superior quality. We use fine grade raw material in fabrication of our assortment that includes aluminium alloy, stainless steel alloy and low carbon steel. Our products in this range are known for high performance and long lasting features. These are also customized as per clients' specified requirements. We manufacture this part mainly for Maruti Udyog.